In Georgia, when you are arrested and charged with DUI, in all likelihood you will have to appear before two separate courts. The first court is a criminal court where you will answer to the misdemeanor offense of DUI. This is a criminal case in which the state of Georgia accuses you of the offense of DUI. The arresting officer is required to fill out this form and forward it to DDS, if at the time of your arrest, you submitted to a state administered chemical test of your blood, breath, or urine and you had a blood alcohol concentration of 0.08 grams percent or more. 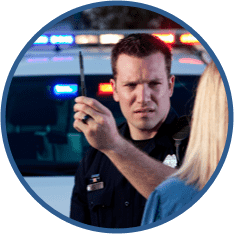 If the arresting officer alleges that you “refused” to submit to a chemical test of your blood, breath, or urine, he will also fill out the DDS Form 1205. From the date that you receive this form, you have 30 days to request a hearing and thereby prevent the automatic suspension of your privileges to drive in the state of Georgia. There is a $150.00 fee charged by the state of Georgia to request a hearing. A certified check or money order in the amount of $150.00 made payable to “DDS” must accompany your request for a hearing. If you do not request the hearing within 30 days, your license to drive in Georgia will be suspended. This written notification requesting a hearing is commonly referred to as a “30 Day Letter”. After requesting the hearing, you will receive notice as to when and where your hearing (commonly referred to as an “Administrative License Suspension Hearing” or “ALS hearing”) will be held. It is important to note that this hearing in most cases will be in a different court and heard by a different judge than your criminal DUI case. If you are charged with a DUI by Cobb County PD, Marietta PD, Smyrna PD, Acworth PD, Austell PD, Kennesaw PD, KSU PD, SPSU PD or Powder Springs PD, the ALS hearing will be heard on a Monday morning at 8:30 a.m. in Marietta Municipal Court. Remember, time is of the essence. You only have 30 days from the date of your arrest to request a hearing. It is your request for hearing that stays the automatic suspension of your driver’s license. What is a “Thirty Day” letter and why you need to act fast. Do you qualify for the Georgia pretrial diversion program? Probation violations and how we can help. 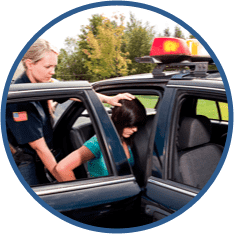 Do you have an outstanding arrest warrant? 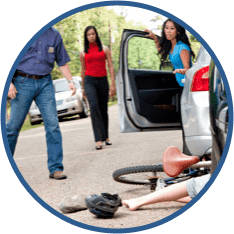 Are you in need of compensation for a serious injury? Do you have a “slip & fall” case against a property owner? I rarely write reviews for anything or anybody but Smith, Schnatmeier, Dettmering, & Reeves, LLP legal work was so excellent I felt it was important to write a review. They assisted me quickly and efficiently. They were very knowledgeable and gave me good counsel. I was confident they were going to represent me well and they did. I highly recommend Cobb County Attorneys if you want good Legal Counsel. As a colleague of the lawyers at Smith, Schnatmeier, Dettmering, & Reeves, LLP, I can tell you that they possess superior trial skills and display superior ethical and professional conduct in their practice of law. I have personally known Rob Schnatmeier for the past fifteen years, having worked closely with him in the DeKalb County District Attorney’s Office. Rob is a great trial lawyer and does an excellent job for his clients. Rob and I continued the working relationship that we formed in the District Attorney’s Office and currently work on many cases together. Ben, I was very impressed with how you handled everything. I understand that the prosecutor’s as well as the judge’s attitude towards our son resulted from how you handled the case. You did great work here. Thanks for helping us.